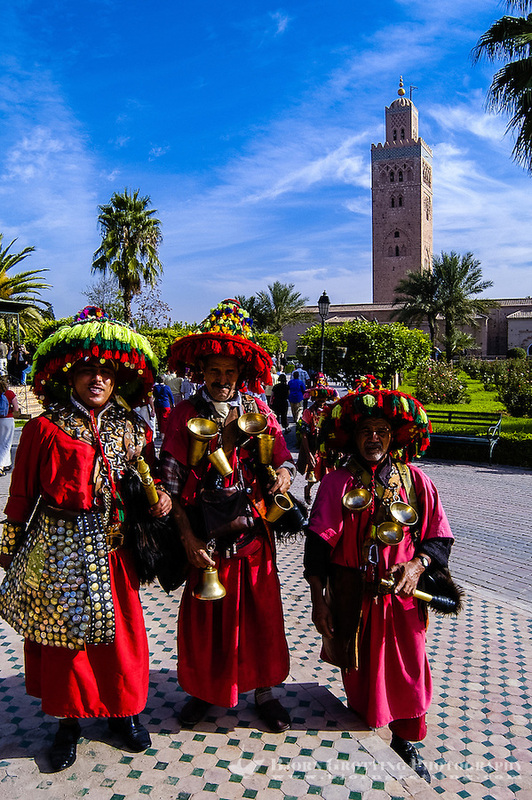 Morocco, Marrakesh. Colourful water salesmen in front of the The Koutoubia Mosque. They will charge for a photo.